That 300-mile drive cost Bachman $1,635.93, according to a report from NJ.com. Adding insult to injury, Bachman accidentally ordered an Uber XL instead of an Uber X. The NJ.com report says the fare would have been $819.14 (booking fee: $2.35, base fare: $3.94, time: $115.90, distance: $696.95) had Bachman selected the cheaper service. As he hazily came to terms with the mistake, Bachman apparently didn’t take out any frustration on his driver. Bachman says he took cash out at a CVS so the driver would have enough money for tolls back to West Virginia, and he gave the driver 5 stars. But Bachman told NJ.com he was contesting the charge with Uber, claiming he never put in his home address. “Obviously I sent the Uber, I don’t know where to, I know I wouldn’t send it to my house, I knew where I was,” Bachman told NJ.com. Uber tells Gizmodo that the driver took Bachman to the destination that Bachman requested. The company has been in touch with Bachman and Bachman has apparently agreed to pay the fare. Uber declined to confirm the total cost of the trip. 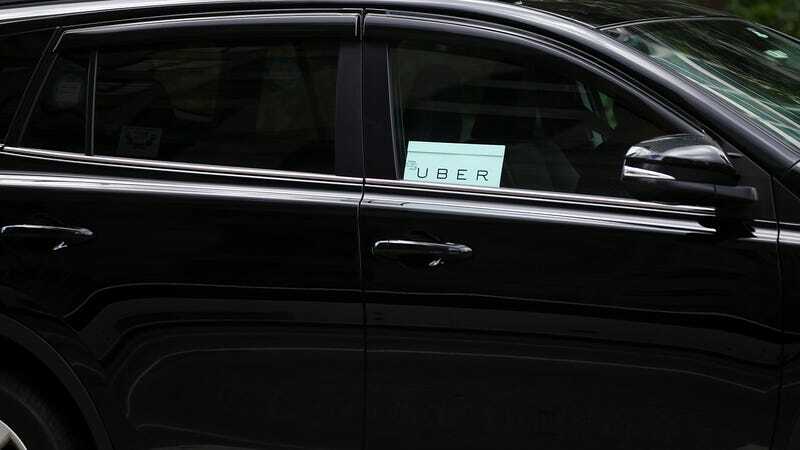 The Uber app enables users to save a home address to make it easier to request that destination later, and the app pulls up recent destination addresses when users request a ride. While we don’t know exactly what Bachman’s finger tapped in his apparently drunken state, it seems like an easy mistake to make.